Owl Strawberries With PhiladelPhia Cream Cheese! Having a birthday party at home will get you thinking about what you can make on this special day of your loved one. And if the person is a younger one in your family, then you might be looking for something more interesting that will make an instant smile to their face. 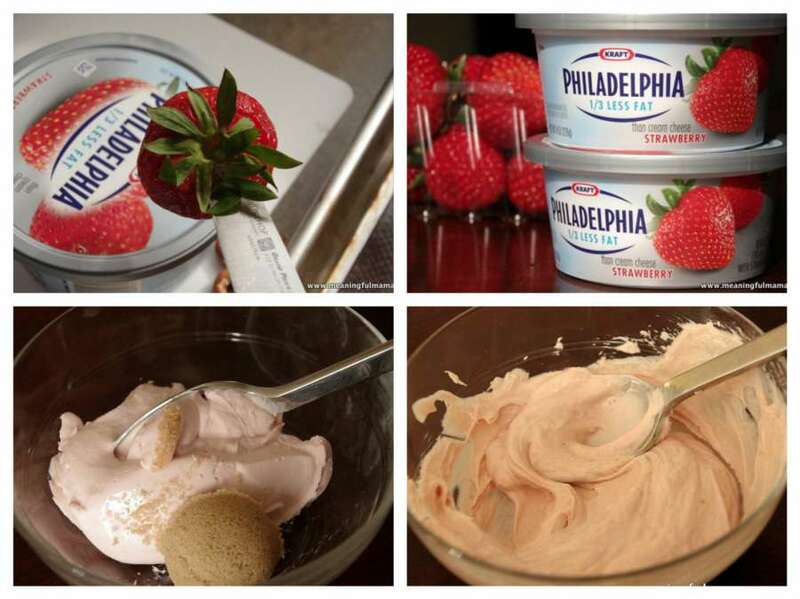 Owl strawberries with Philadelphia cream cheese is such a treat that will make everyone wonder how you made it! Foods can be given shapes with animal themes but this one would be the cutest one you have ever seen. These adorable treats will have a shape of owls sitting on their nests. As it is strawberries we are talking about, no one will be able to wait longer to try these tiny delicious treats. To make these owl strawberries, you will have to buy the ingredients from your nearest grocery stores. The ingredients that you have to buy are strawberries, Philadelphia cream cheese, brown sugar, candy eyes, starbust minis, coconut, cocoa krispies, butter and mini marshmallows. You can also use food colors and cream cheese to make the eyes of these owls. Regarding the Philadelphia cream cheese, you can choose any flavor from their collection. If you like the berry flavors then you can go on with the strawberry or blueberry flavors. You will also need a muffin pan where you will have to make the nests for each owl and this will lead you to make 15 owl strawberries. There are two steps to make these owl strawberries with Philadelphia cream cheese. If you want to start it from the day before, then you can make the nests and refrigerate them so that you can prepare the rest within a short time on the day you are going to serve them. In that case, you can make the nests by melting 1 ½ tablespoon butter over low heat in a saucepan followed by adding marshmallows into it. Stir the marshmallows and let them melt completely. Now add coconut and cocoa rice krispies to the mixture and stir the mixture until it gets completely combined. 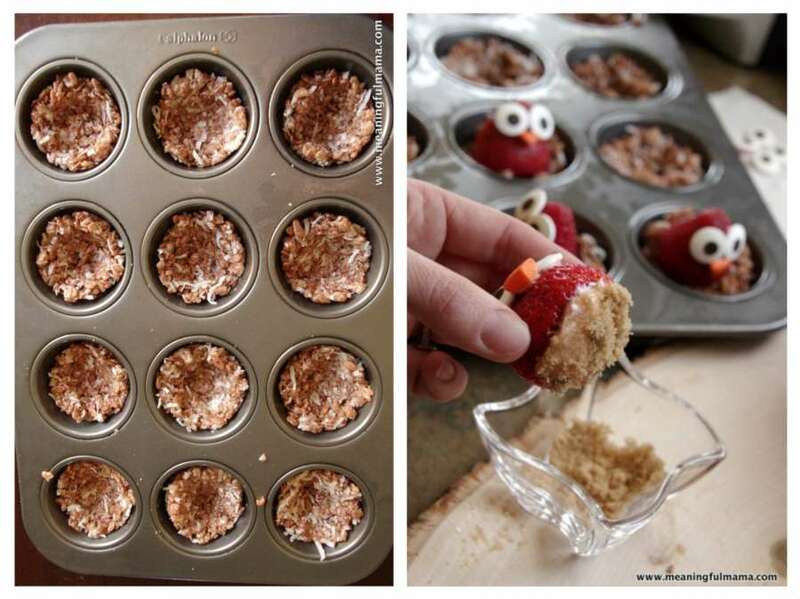 Apply cooking spray to the cupcake or muffin pan and take a small handful mixture to press it into the cupcake tin. Make sure that the edges are higher than the centers and cover it with a plastic wrap to refrigerate it. Though it would be best to make it on the same day but if you have a lot more work, then making it before might save some time. On the day of the party, wash the fresh strawberries and hollow out the center of each of them. Mix 4 oz of cream cheese with 1 tablespoon brown sugar and stir until it combines. Use a small spoon or pipe the cheese into each strawberry and fill the hollow. Now you have to add the nose and eyes to each strawberry and for that cut starburst mini into quarters and use wilton large candy eyes for the eyes. You can use a bit of cream cheese to stick them to the strawberries. Now dip the bottom of each strawberry in brown sugar before putting them on the nest so that they don’t ooze out from the nest. 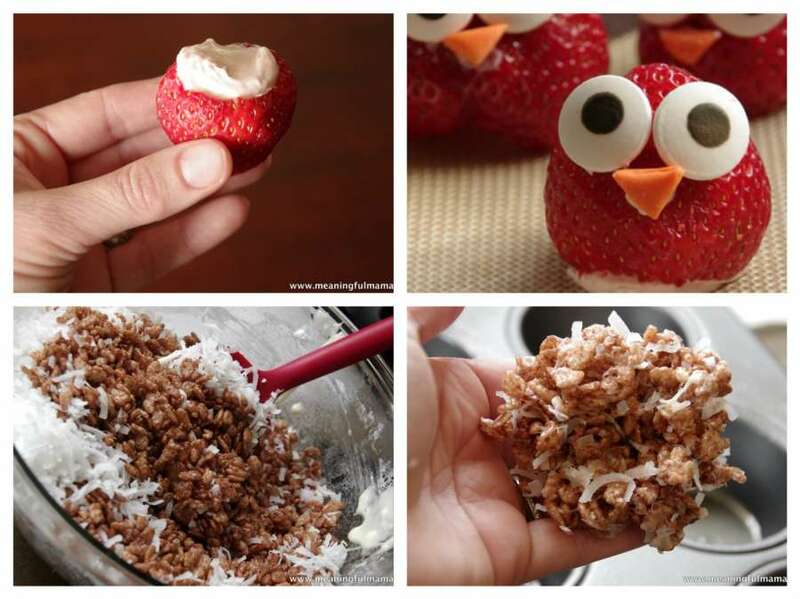 Place each owl strawberry into their nests and serve them! 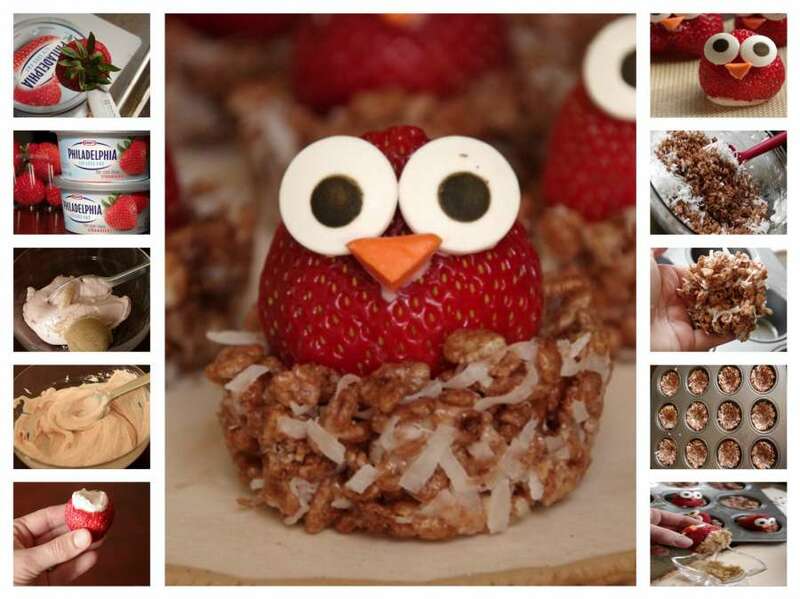 People will love these types of adorable treats and you will get the best compliments of your imagination and creativity by making these owl strawberries with Philadelphia cream cheese!